The Bossier Sheriff’s Office will host a job fair at the Viking Drive substation in Bossier City this weekend. The Bossier Sheriff’s Office is seeking more than a dozen positions and is taking a unique route on how to fill them. The BSO will host its first ever Law Enforcement Career Fair Saturday, April 28, from 10 a.m. to 2 p.m. at the Viking Drive Substation, 2510 Viking Dr., Bossier City. The Sheriff’s Office is seeking to hire 15 new employees in positions across the board. 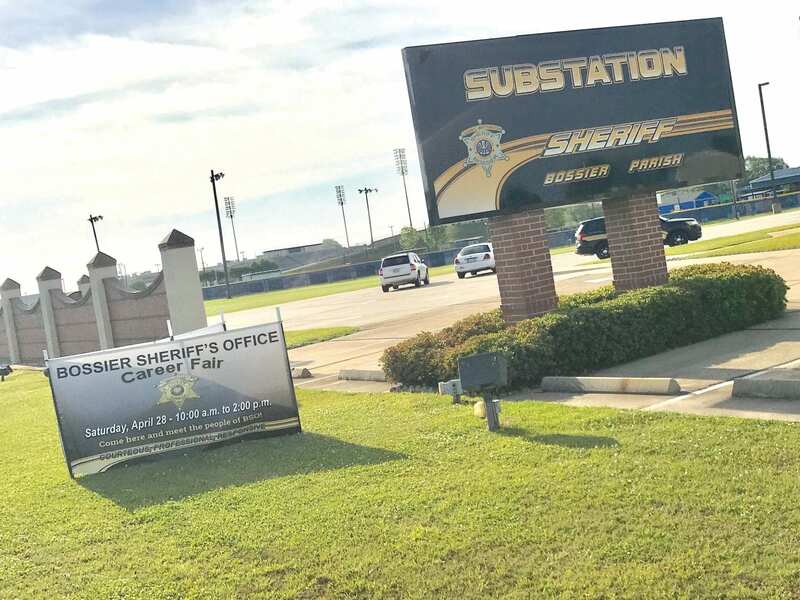 The need is two-fold — regular attrition of employees retiring or leaving the department, and the Bossier Parish School Board approving the hiring of five more SROs (school resource officers). “It’s a constant shuffling and it’s difficult to replace [the people who have left]. It’s just the type of job market we have here — people are working, the economy is booming, and it’s just a tight job market. We want people to know we’re hiring,” explained Sheriff Whittington. Job seekers will have a chance to meet the people of the Bossier Sheriff’s Office and see almost every job that a deputy and corrections team serves. Sheriff Whittington and his command staff, along with support and administrative personnel will also be ready to answer any questions about a career in law enforcement. The aim is to provide a personal, human touch to their usual hiring process. “Some people think because they had a DWI a long time ago, for example, that they can’t work here. We would have to determine the circumstances, but something like that doesn’t immediately preclude you,” he added. In order to cast a wider net and find the right people for the job, the BSO is making exceptions for two of its hiring rules. Firstly, new hires don’t have to currently live in Bossier Parish. If a potential hire doesn’t live in Bossier, he or she has one year to relocate. The BSO is also foregoing its in-house nepotism policy. Previously, potential employees who had a relative working at the BSO could not be hired. “We have been shutting ourselves off to a lot of good applicants,” Sheriff Whittington admitted. He said these changes are a way to attract more recruits without lowering their standards. Part of the emphasis on finding quality applicants is because of the parish’s reputation as being one of the safest in the state. Sheriff Whittington said he certainly feels the pressure that comes with the responsibility of keeping a growing parish safe. “I feel it every day. When you’re at the top, there’s pressure to keep it there. I speak to other sheriffs around the state almost daily and I can tell you that there’s a lot of envy around the state [for how safe Bossier Parish is],” Sheriff Whittington revealed.